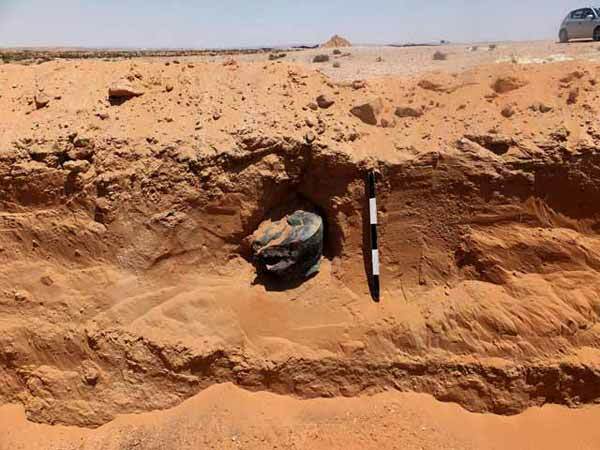 In May–June 2014, a salvage excavation was conducted near the Community settlement of Ashalim in the Negev (Permit No. A-7124; map ref. 169366–927/542715–931) prior to the construction of a solar power station. The excavation, undertaken on behalf of the Israel Antiquities Authority and financed by the Housing and Construction Holding Company Ltd., was directed by J. Vardi (field and studio photography), with the assistance of M. Pasternak and A. Yaroshevich (area supervision), Y. Al-‘Amor (administration), O. Shmueli (safety). M. Kahan (surveying), S. Gal (GPS and GIS), M. Birkenfeld (GIS), J. Roskin and Y. Buchman (geomorphology), D. Prism (micromorphology), O. Barzilai (scientific consultation) and E. Boaretto (radiocarbon dating), as well as I. Milevski, A. Ziv-Ner, D. Yegorov, A. Nov, Y. Ben Yishai, T. Abulafia, T. Gerser and P. Spivak. Eight excavation areas (A–H; 306 m above sea level; Fig. 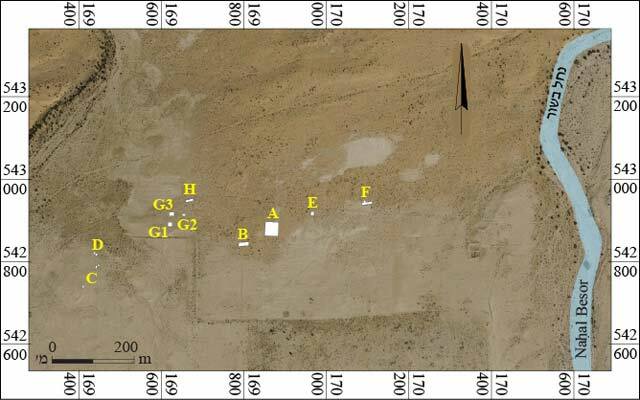 1, Table 1) were opened in a level area in the eastern part of the Shunra Dunes, south of the confluence of Nahal Besor and Nahal Be’er Hayil. The excavation uncovered flint artifacts from several Epipaleolithic cultures and the remains of an ancient seasonal lake. 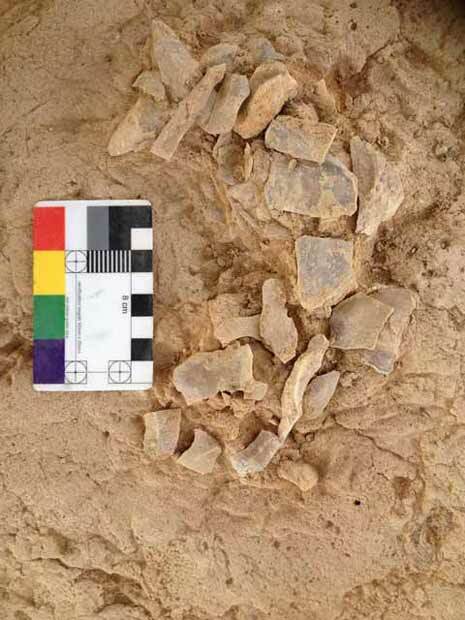 The site was discovered during a survey conducted previously in the region, when an the area of c. 90 dunams (Haimi and Lender 2011: Site 113) yielded flint concentrations near unused fields belonging to the community of Ashalim. The excavation began in the center of the site, where an extremely dense concentration of flint artifacts was identified (Area A). The other excavation areas were explored as further flint concentrations were detected. A network of squares (1 × 1 m each) was spread across the entire excavation area, and flint items were collected from the surface. The excavated soil (0.05–0.10 m deep) was sieved with a fine mesh (1 mm), and probes (depth 0.5–1.0 m) were dug in search of finds and in order to extract soil samples for OSL-dating analysis. All the excavation areas yielded surface-level, single-stratum sites. The Shunra and Mash’abim Dunes have previously been shown to contain sites associated with a variety of Epipaleolithic cultures (Goring-Morris 1987; Rosen 1990; Rosen and Kolska-Horwitz 2005). Area A yielded red chalcedony flint items from the Late Natufian culture, with debitage that included bladelet cores and bladelets, microburins (Fig. 2:1–3) and lunates with an abrupt, retouched back (Fig. 2:4–7). Also recovered were two Helwan lunates (lunates with bifacially retouched backs) from the Early Natufian culture; they may have come from the adjacent area (Area B, below). Further finds included round flint hammerstones (Fig. 3), burnt stones and a few Dentalium beads (Fig. 4). 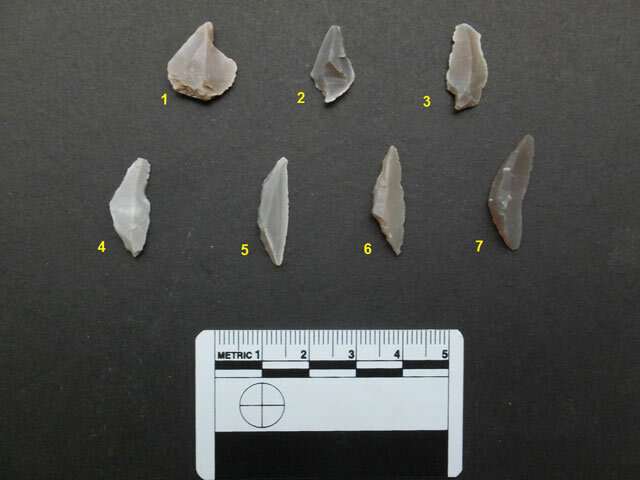 Area B yielded sparsely dispersed light-brown or brown-and-gray flint items. The finds include knapping debitage containing blades and bladelets, microburins, and blades with an abrupt, retouched back, some of which bear sickle gloss (Fig. 5:2–5) and may be sickle blades. Blades of this type are the most common tools in this area. Also recovered were sickle blades with a worn, curved cutting edge and sporadic sickle gloss. The blades with an abrupt, retouched back and the sickle blades are not truncated, and their cutting edge is not retouched; they probably date from the Epipaleolithic period. Three Helwan lunates (Fig. 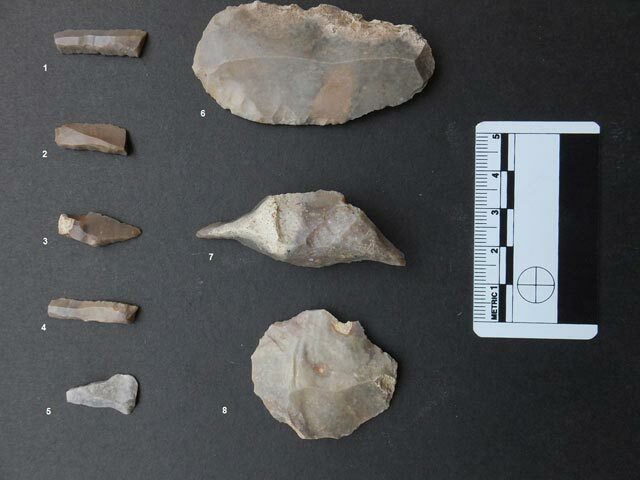 5:1) from the Early Natufian culture were also discovered, reinforcing the suggested date of the blades. However, the Helwan lunates are made of red chalcedony flint, which is not characteristic of Area B. Areas C and D. The gentle slope of a hill damaged by IDF activity yielded flint items from various periods. They include a tabular scraper, lunates made of gray flint with an abrupt back, and brown flint bladelets with a retouched back. A base of a Chalcolithic or Early Bronze Age jar (Fig. 6) was found beside the scraper. 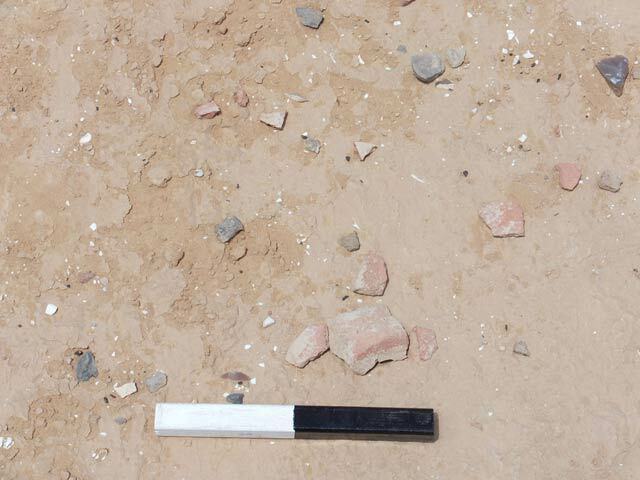 Area E. A large area (over 100 sq m) of scattered fragments of ostrich-egg shells was examined (Fig. 7). 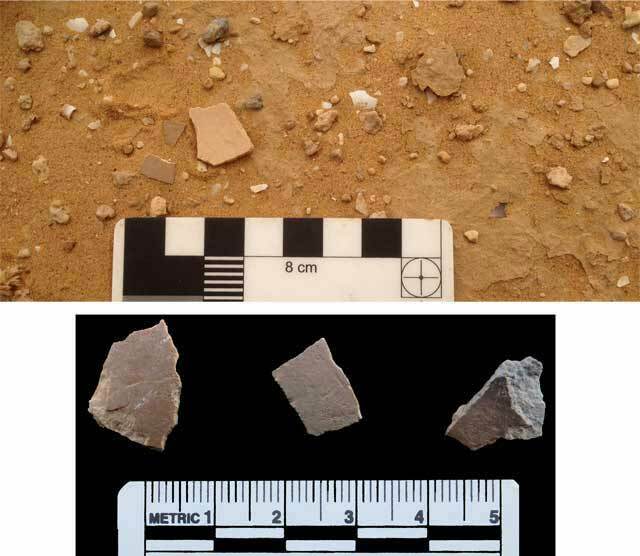 Two eggshell samples were taken for radiocarbon dating at the Weizmann Institute, yielding the following results, after calibrating two standard deviations: 14,850–14,190 and 14,530–14,100 BP, i.e., the Early Natufian culture. It is not yet clear if the shells are from an abandoned nest or if they are the result of the deliberate collection of ostrich eggs. A few flint items were found scattered in the area, the most common being lunates with an abrupt back resembling those found in Area A. Area F yielded a pit containing dozens of debitage items (Fig. 8). 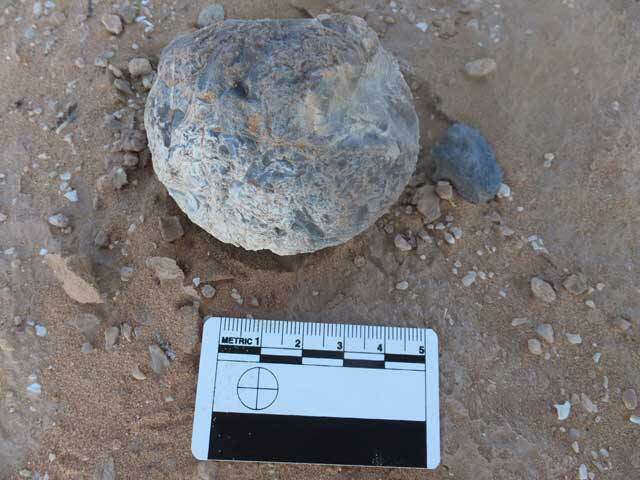 A fragment of a core was found not far from the pit. 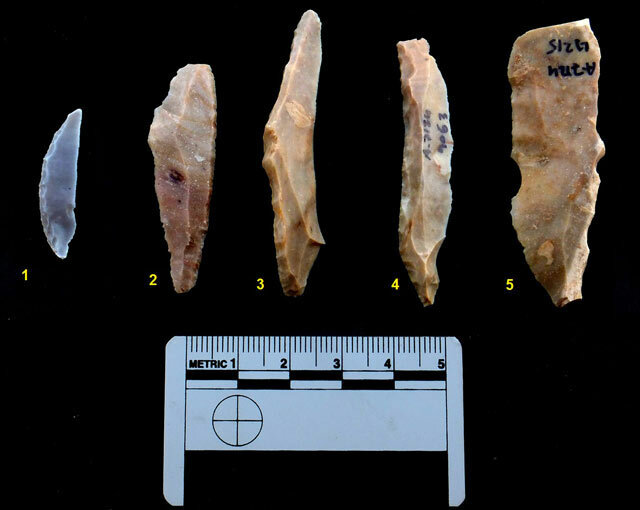 The surface finds include items produced from flint that differs from the type of flint discovered in the pit; the latter include debitage, lunates with an abrupt back and other tools associated with the Late Natufian culture. Area G. Three flint concentrations (G1–G3) were discovered on a gentle slope in the north bend of a long, narrow, hill. Harif points and small Harifian lunates (Fig. 9) were found in concentrations G1 and G3. Also found were debitage, including bladelets and bladelet cores (Fig. 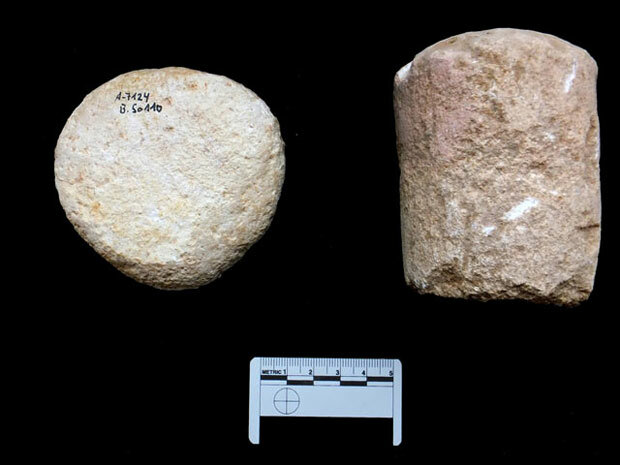 10), a grinding stone, and a large and wide Dentalium bead (Fig. 11). Concentration G2 yielded a number of Geometric Kebaran tools, among them geometric microlithic tools such as rectangles and trapezes (Fig. 12:1–5), scrapers (Fig. 12:6, 8) and a drill (Fig. 12:7). A modern copper pot that had been buried in the ground with its mouth facing downward (Fig. 13) was discovered in a probe dug on the lower slope of the hill. An excavated trench (below) yielded a limestone pestle (Fig. 14) and a hammer stone. On the hillside north of concentration G1, a trench (0.5–3.5 m deep) was dug mechanically for the purposes of a geomorphological study. Layers of clay exposed in a section of the trench and in other probes indicate the pooling of water. The Nahal Besor streambed was probably blocked by a migrating sand dune, forming a seasonal lake. Area H. Harif points and tiny Harifian lunates (9–12 mm long) were discovered at the foot of the hill where Area G was excavated. Also found here were bladelet cores, bladelets, a pebble incised on both sides (Fig. 15), a concentration of burnt pieces of limestone, possibly part of a hearth, and Dentalium beads. This concentration of items was found near the end of the excavation, and therefore only part of its was collected. 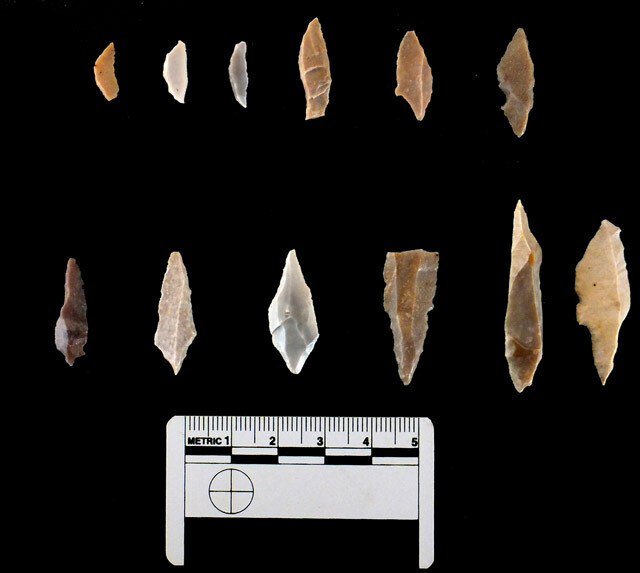 The excavation recovered flint artifacts dating from the late Epipaleolithic period—the Late Natufian and Harifian cultures—the majority of which are microliths which were used for hunting. The tools were apparently knapped at the site, as all the areas, except for Area E, contained debitage from all production stages. The raw material was brought from flint outcrops at the nearby Yeroham Ridge (Rekhes Yeroham). The mapping of the ancient lake has indicated that the flint concentrations were found along its banks. Human activity most probably took place around the lake following the winter season, when the lake accumulated sufficient water to support the surrounding vegetation and attract wildlife; such a lakeside environment would have attracted bands of hunter-gatherers. The link between seasonal lakes in the desert and transitory camps of hunter-gatherers has been studied in the past (Goring-Morris and Goldberg 1990; Roskin et al. 2014). 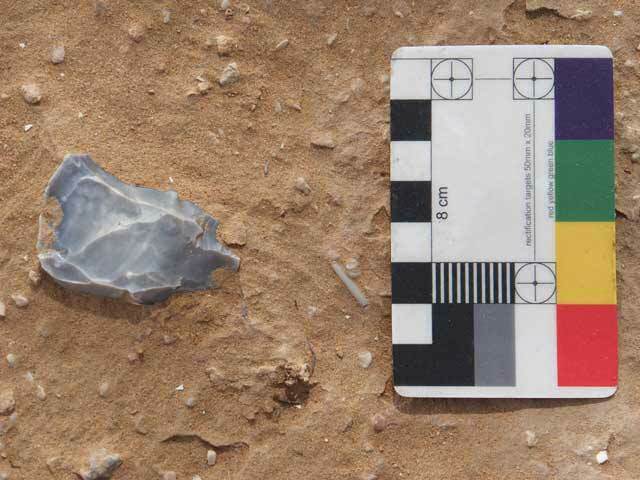 Another Late Natufian site that attests to this association was recently discovered in Nahal Sekher (Barzilai et al. 2015). Barzilai O., Agha N., Ashkenazi H., Birkenfeld M., Boaretto E., Porat N., Spivak P. and Roskin J. 2015. The Natufian Site of Nahal Sekher VI: The 2009 Excavation Season. JIPS 45:97–130. Goring-Morris A.N. 1987. At the Edge: Terminal Pleistocene Hunter-Gatherers in the Negev and Sinai (British Archaeological Reports 361). Oxford. Goring-Morris A.N. and Goldberg P. 1990. Late Quaternary Dune Incursions in the Southern Levent: Archaeology, Chronology and Palaeoenvironment. Quaternary International 5:115–137. Haimi Y. and Lender Y. 2011. Ashalim. HA-ESI 123. Rosen S.A. 1990. Excavation at Givat Hayil 33: An Epipaleolithic Site in the Western Negev. JIPS 23:60–79. Rosen S.A. and Kolska-Horwitz L. 2005. Givat Hayil 35: A Stratified Epipaleolithic Site in the Western Negev. JIPS 35:201–228. Roskin J., Katra I., Agha N., Goring-Morris A.N. and Porat N. 2014. Rapid Anthropogenic Response to Short-Term Aeolian-Fluvial Palaeoenvironment Changes during the Late Pleistocene-Holocene Transition in the Northern Negev Desert, Israel. Quaternary Science Reviews 99:176–192. 2. Area A, Microburins and lunates. 3. Area A, Flint hammer stone. 4. 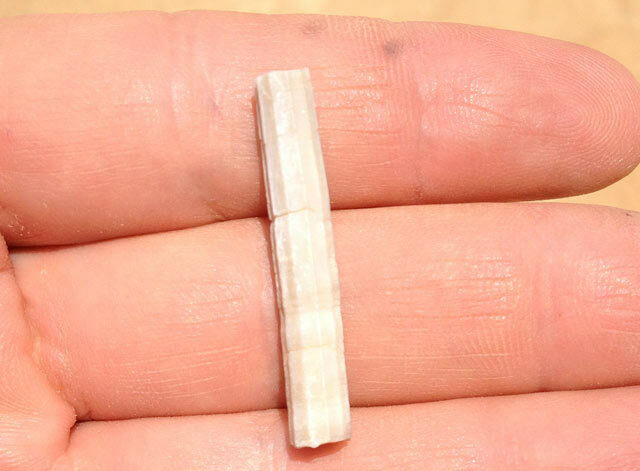 Area A, Dentalium bead. 5. Area B, Helwan lunate and blades with an abrupt, retouched back. 6. Areas C and D, Jar base. 7. Area E, Ostrich-egg shells. 8. Area F, Knapping debitage in pit. 9. 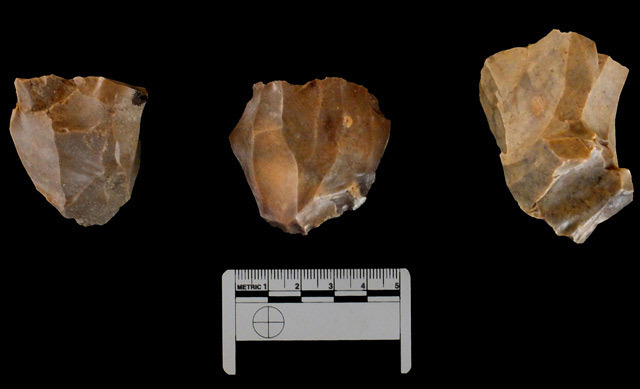 Area G, Harifian microlithic tools. 10. Area G, Bladelet cores. 11. Area G, Dentalium bead. 12. Area G, Geometric Kebaran tools. 13. A copper pot in section in Area G, looking east. 14. 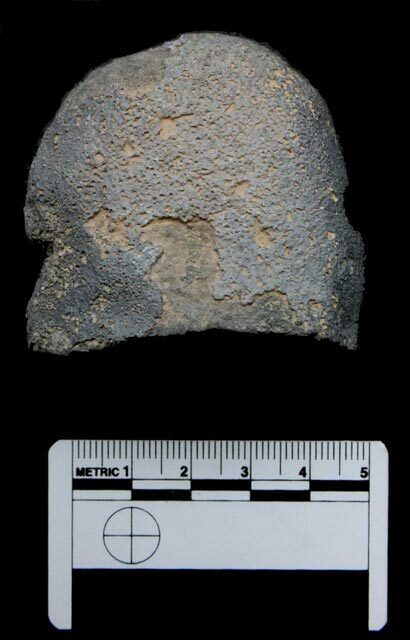 Area G, Limestone pestle. 15. Area H, Pebble incised on both sides.